This entry was written by Sarah Jenkins, posted on 03/30/2011 at 3:52 pm, filed under March 2011 category. Today was a bittersweet day. This was our last few hours in Israel before our flight out at 4pm, and everyone was reluctant to leave this beautiful country. For once, everyone was up and out on the bus early – no one wanted to miss anything! 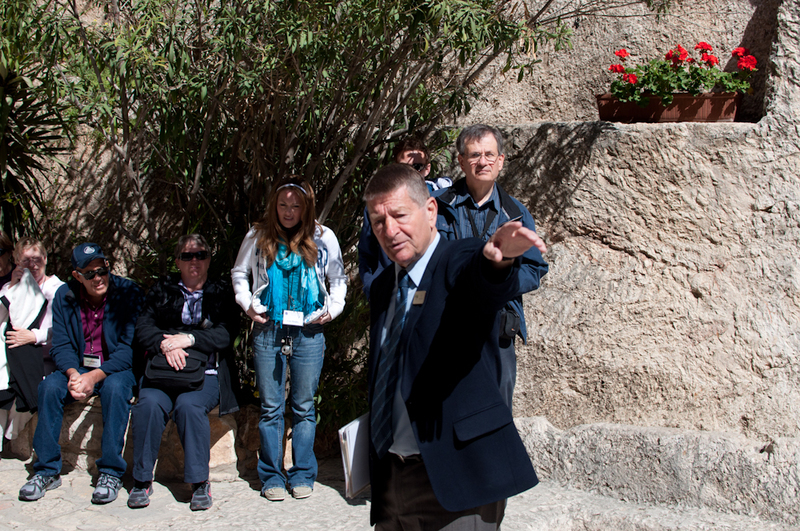 Our final stop on our tour was the Garden Tomb and the overlook of Golgotha. 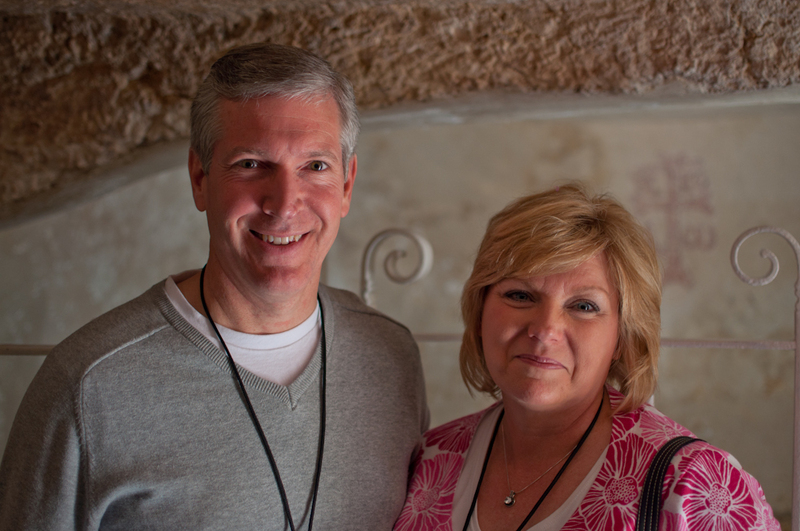 The morning air was crisp and cool as we viewed the place where Jesus might have died for our sins. 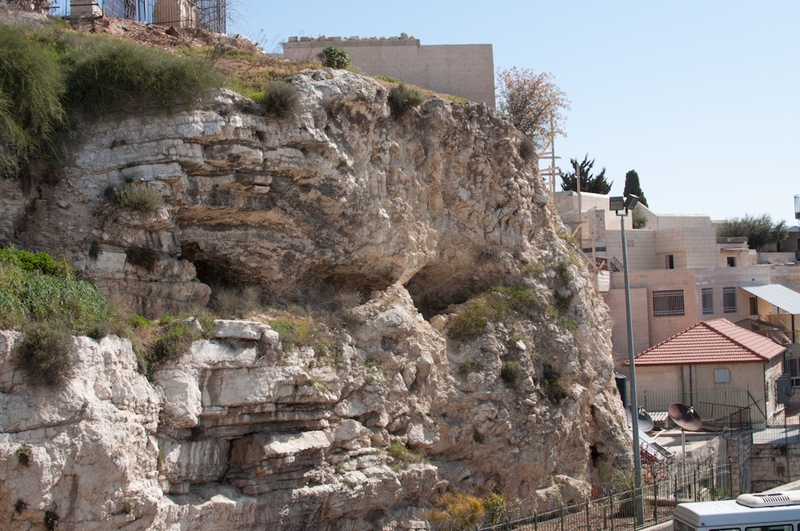 It certainly fits the Biblical directions we are given – the rock face has chilling, empty stone eyes, and at the foot of the hill is where a winding road once would have sat outside the city walls. Crucifixions were done outside city walls, and next to a road, to serve as a warning to other would-be criminals. Bones have also been unearthed at the foot of the hill, seemingly to support this place being a site of execution. 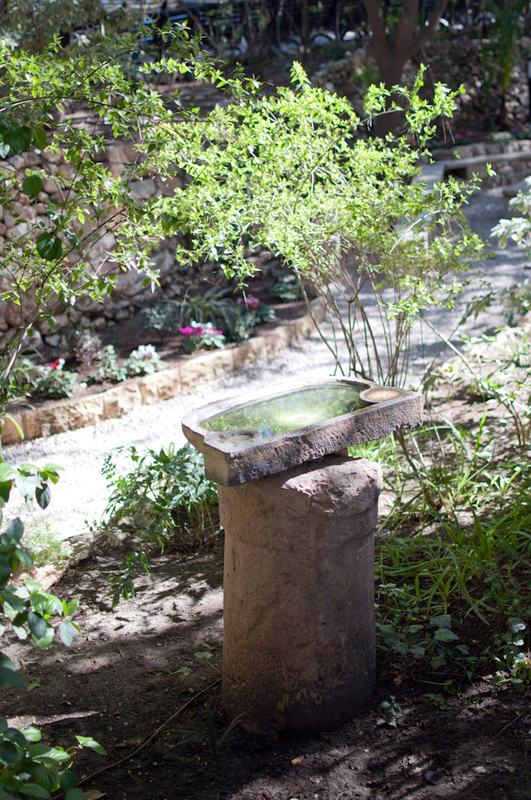 Continuing through the garden, we stopped to examine an ancient winepress and a cistern system, both of which support the hypothesis that this was the garden of a rich man, as Joseph of Arimathea would have been. 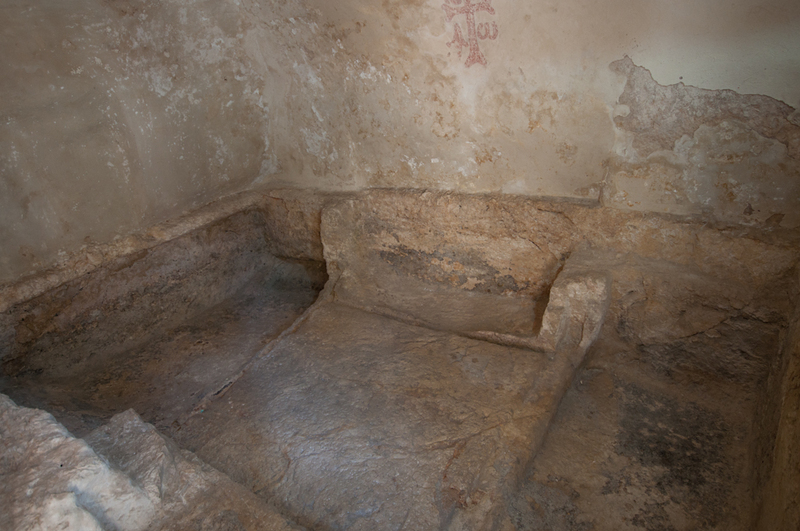 The tomb itself remains unfinished on one side, fitting the description of it being a new tomb, and is of an uncommon, but not unusual layout. 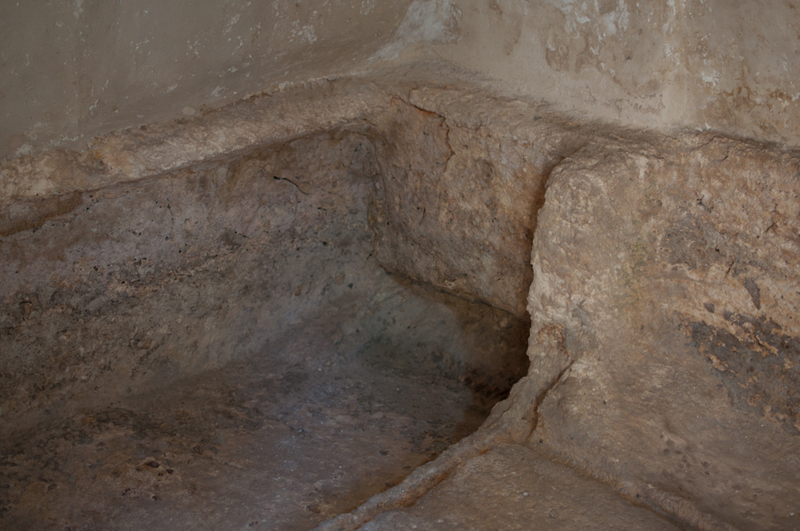 Instead of having a weeping chamber directly facing the place where the body would have been laid, the bodies were laid to the right of the chamber, which fits the description given when Mary Magdalene and Mary the mother of James came to anoint His body with oils in Mark 16:1-6. 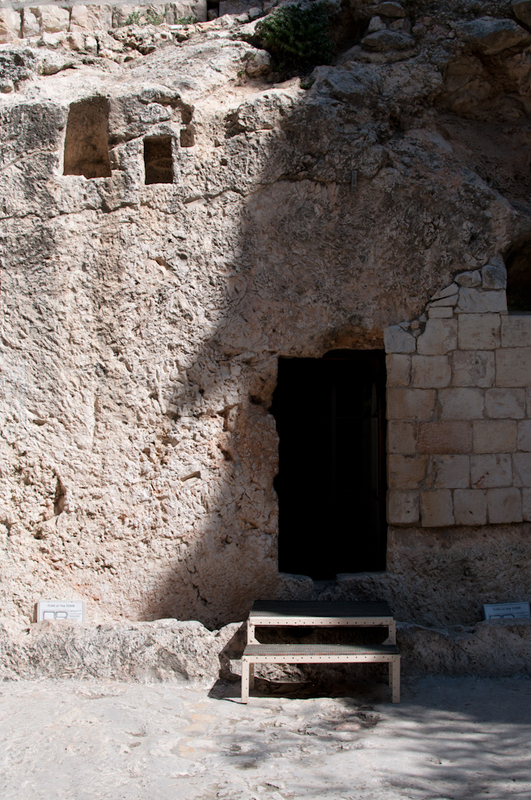 It is specifically stated that they saw the angel sitting on the right side of the tomb. 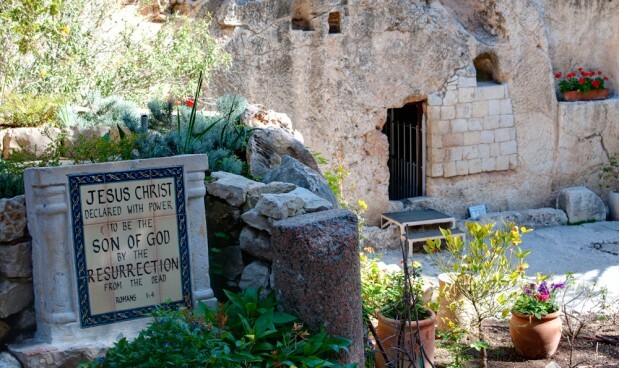 Although we can never know for sure if this is the exact place where Jesus’s body was laid to rest for three days, in the end, the glorious truth is that it doesn’t matter! 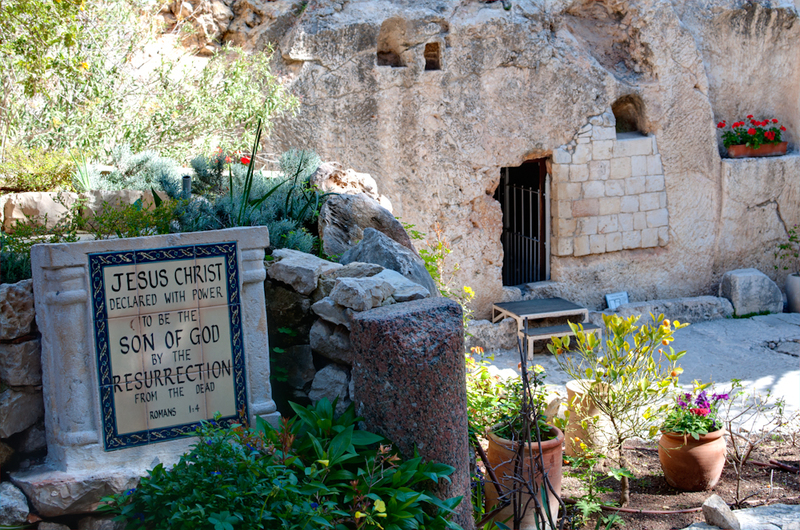 We did not come here seeking a body, we know our Lord and Savior has been risen from the grave now for over 2,000 years. We do not need to know where He laid for three days to know that His sacrifice has been atoning sinners for the past two millennia! 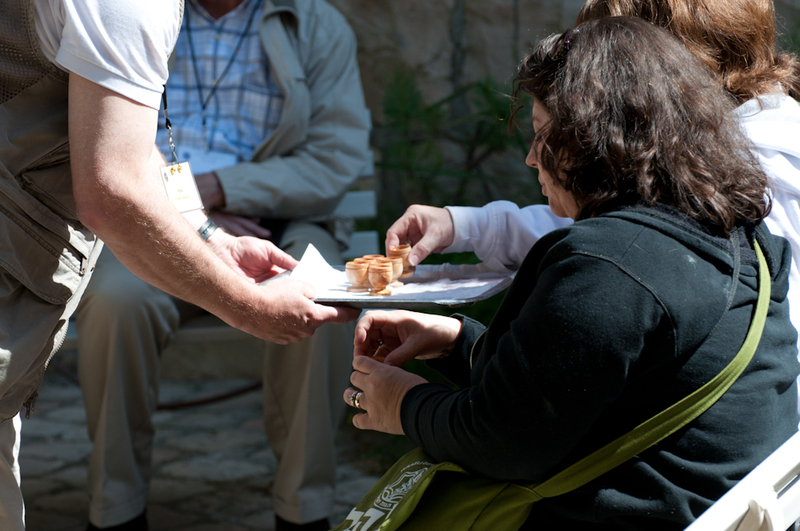 After we had taken some time to explore the empty tomb, we walked back up the hill to partake in Communion as a group. 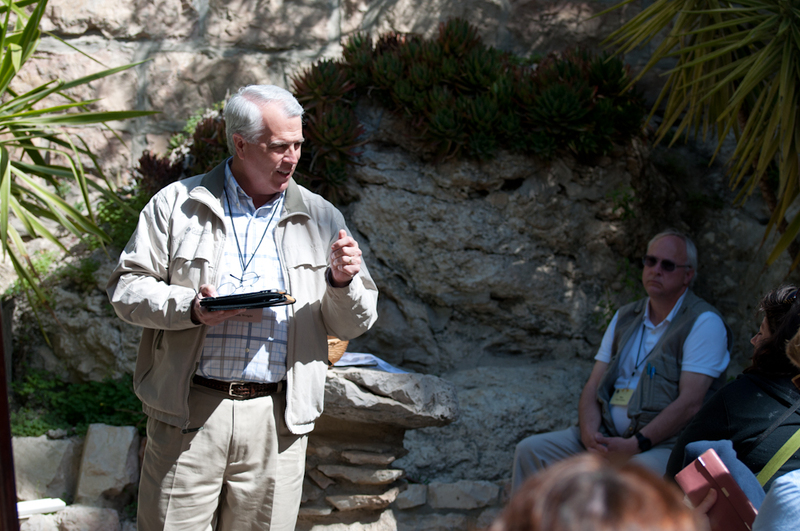 It is both a reminder of Christ’s sacrifice for us, and a charge to remember the truths we all had learned this week in the Holy Land. God allowed us to have these experiences for a reason, and it is up to us to use them for His benefit and His Kingdom’s glory. 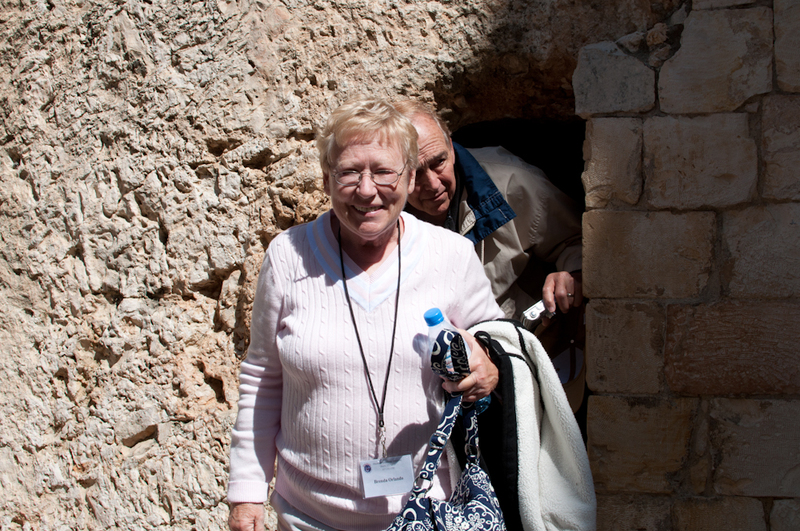 We leave the Garden Tomb feeling refreshed and recharged, and more than ready to share what God has revealed to us this week! Before our journey to the airport, Yuval arranged for us to have one last, authentic Israeli meal, filled with falafel and shish kabobs. It was a fitting – and delicious! 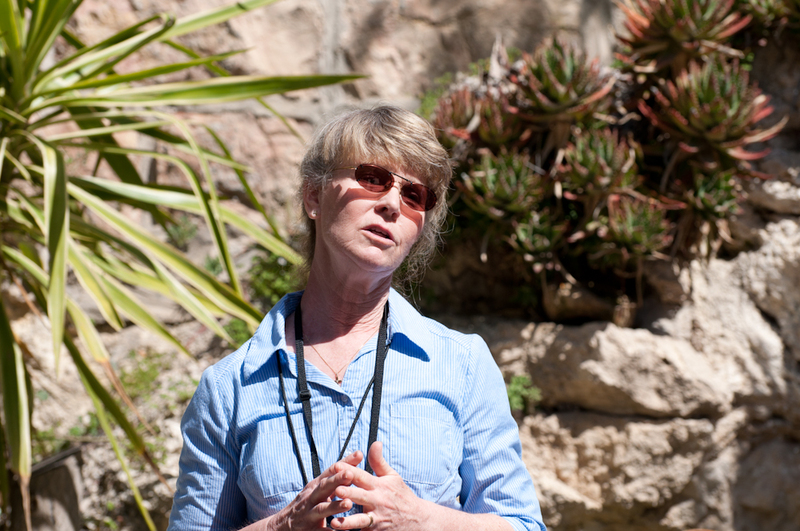 – way to spend our last hour in Israel. Arrival at the airport was a teary affair for many of our group, myself included. It is hard to leave a country where so much truth has been revealed to us, and God’s presence is nearly a tangible thing. 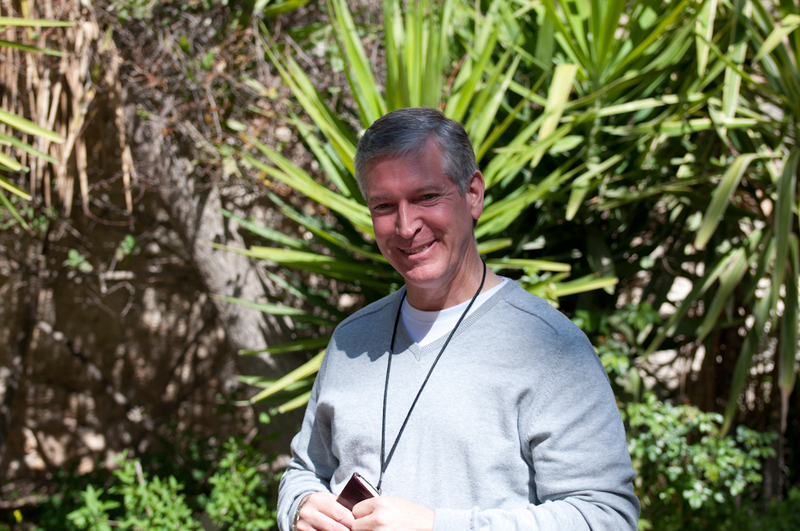 I have said since my first trip in March of 2010 that I stay in the US, but I live in Israel. Our hearts and minds will always call back to this beautiful place, and the Scriptures will never look to same to us again. 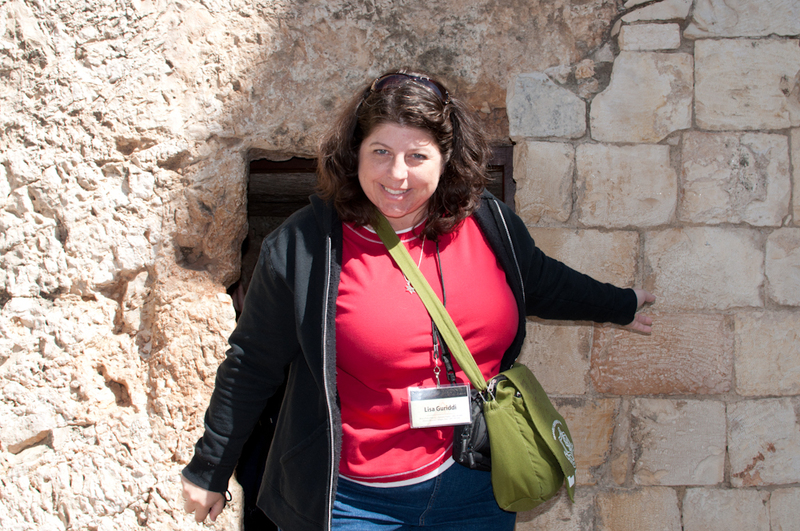 We are comforted by the realization that we WILL again stand in God’s Holy City… and perhaps the next time, there will be God’s final peace in Jerusalem. Until then, we must do what we can with the knowledge and experiences that we have been blessed with here, and serve the Lord and His purposes with the gifts He has generously given us. 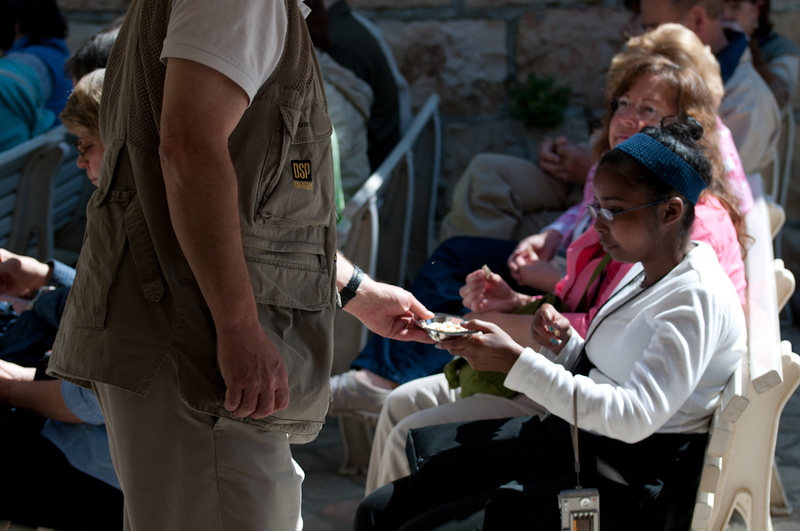 Continue to pray for the peace of Jerusalem – not the peace between the Moslems and the Jews, but the peace between all the people of Israel and their Creator, that they may know His salvation and healing as we do.